What I am: A full-time bellydance/yoga teacher and part-time writer, tethered to the Illinois town of her birth by home and business ownership. What I want to be: A full-time freelance writer, free to wander the world and explore everything the Earth has to offer. That’s a big chasm — just like the one in the cartoon above. Luckily for me, I’ve faced these chasms before, and I’ve learned to trust in certain spiritual laws of the universe. Every time I’ve made the jump, I’ve found that unnamed forces find ways to support me. The important thing is to do the work, then trust that [insert your name for this force] will be there for you and make the leap. I often say I live by karma, and I’m not joking at all. I have become so comfortable with trusting the universe to provide for me that I often operate with barely any visible means of support — much less a safety net! ** For me, this “good behavior” rule is connected to a faint belief in karma and a powerful belief that if I do good things, I will love myself and that will drive me subconsciously to grant my own wishes. My therapist says my love for myself should be unconditional, but I don’t think I’m that developed yet. I have only two weeks left before my studio closes, and I’ve been trusting that as soon as I had time to devote to changing my career, I would be able to pick up more writing gigs. I trusted so much that I bought plane tickets and reserved an apartment in Colombia for two months, not knowing exactly what I’d use for income. I had absolute faith that opportunities would come my way. 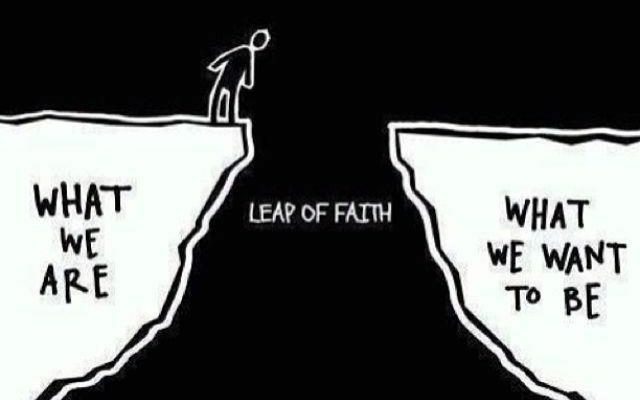 That is why it’s called a leap of faith. Yesterday I got an e-mail from Time Warner, asking me if I’d be interested in writing regularly for them on entertainment topics. Out of the clear blue sky. I recognize I’m getting this offer because of groundwork I’ve laid, writing for CBS and the Examiner, meeting deadlines and completing good work. But I didn’t apply for this opportunity, or seek it out. I hadn’t even begun to work at finding markets for my writing. All I did was check my e-mail and there it was. It literally dropped into my lap at the perfect moment, like manna from Heaven. This is how events have unfolded for me since I learned to see the world this way. Of course, a cynic could say that this is simply my hard work paying off, with serendipitous timing. 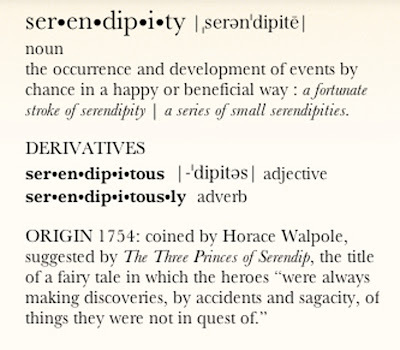 But I’ve had SO many of these serendipitous events happen for me in the last 20 years, always after I’ve committed to jumping the chasm, that I’ve begun to just assume they will come. That’s where the faith comes in. Do you power your way through life, trying to control outcomes? I used to do it that way, too. Lots of effort, and moderate results. Why don’t you consider cultivating a little of this yin energy? Continue to work, of course, and focus. Good things don’t come to he who sits in a recliner watching television. But also dare to dream, and set up little leaps of faith — take manageable risks. Surround yourself with positive energy, cultivate karma… then sit back and allow events to unfold.